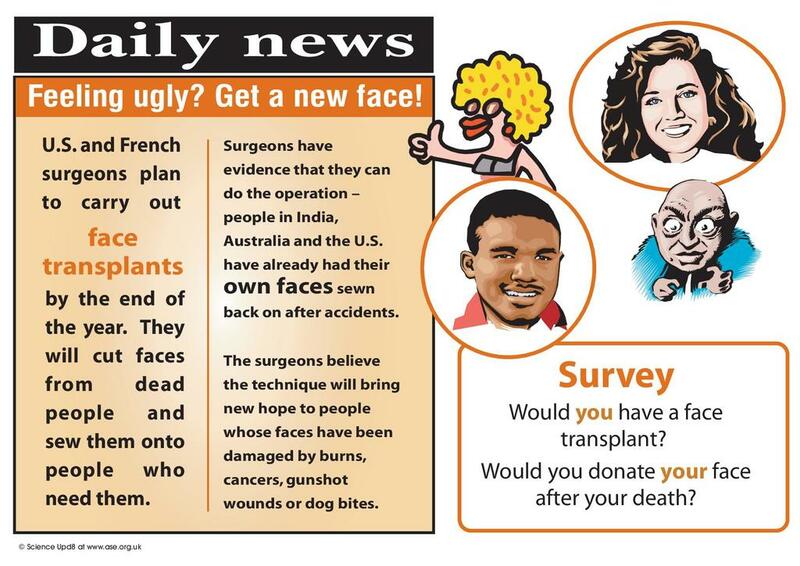 This activity from the Science upd8 explores the science and ethics of face transplants. 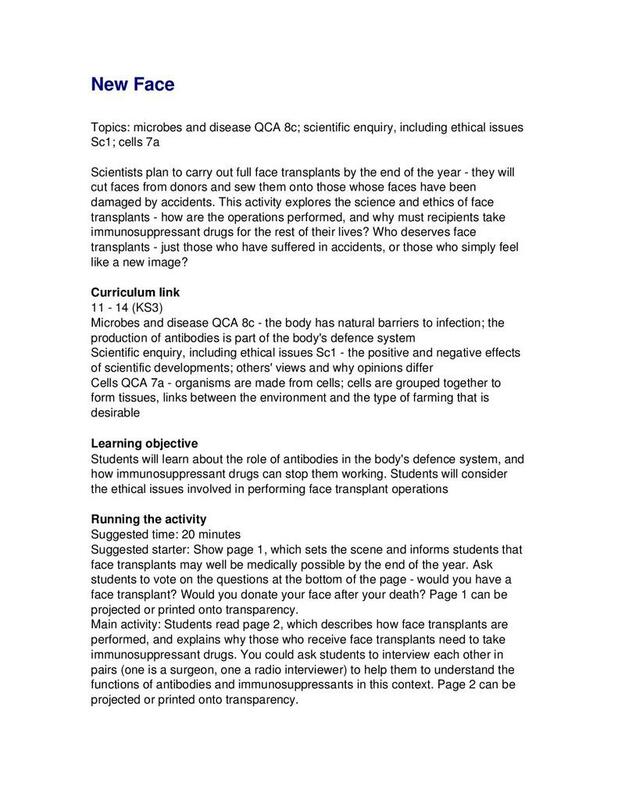 How are the operations performed, and why must recipients take drugs to suppress their immune system for the rest of their lives? Who deserves face transplants? Just those who have suffered in accidents or those who simply feel like a new image?